Kinahan Commercials Ltd have been servicing the commercial vehicle needs of the midlands and surrounds for the past 40 years. Irish Trucker caught up with Sales Manager Ger Carey who shone a light on the progressive Westmeath dealership. Main dealers for Mercedes-Benz and Mitsubishi Fuso new and used commercial vehicles, the Moate, Co Westmeath operation stocks a complete range of new commercial vehicles including Mercedes-Benz trucks and vans, new Mitsubishi Fuso trucks and also have quality used commercial vehicles in stock. They provide their extensive customer base with a wide choice of models and vehicles suited to different budgets while their knowledgeable sales team will be there whenever you need them for guidance on choosing the ideal vehicle that best suits your requirements. When you do visit for after sales care you can expect the same diligence. “We’re located on the Westmeath/Offaly border, in the heart of the midlands, with close proximity to Athlone, Mullingar and Tullamore,” commented Sales Manager Ger Carey who joined Kinahan Commercials 18 months ago. The transport solution you choose needs to be flexible, reliable and above all else, cost effective. That’s where the FUSO Canter commercial vehicle range comes in. Boasting a new design and outstanding efficiency, the new Canter is ready to get the job done for you. The new Canter is packed full of innovation such as the DUONIC dual-clutch transmission – a world first. Add in the automatic start/stop function (ISS) and independent front suspension for all 3.5-ton models. And these are just a few examples. The result? Greater efficiency, greater comfort and convenience for your daily transportation needs. And, most importantly, greater economy for your business! An optimised powertrain delivers significant fuel savings, while the fully modified frame concept ensures good body-mounting ability and further increases the payload. Also making its debut: the new independent front suspension for the 3.5t Canter. All designed to boost efficiency and enhance comfort. Kinahan Commercials’ sales figures reflect the popularity of the Canter amongst its client base. 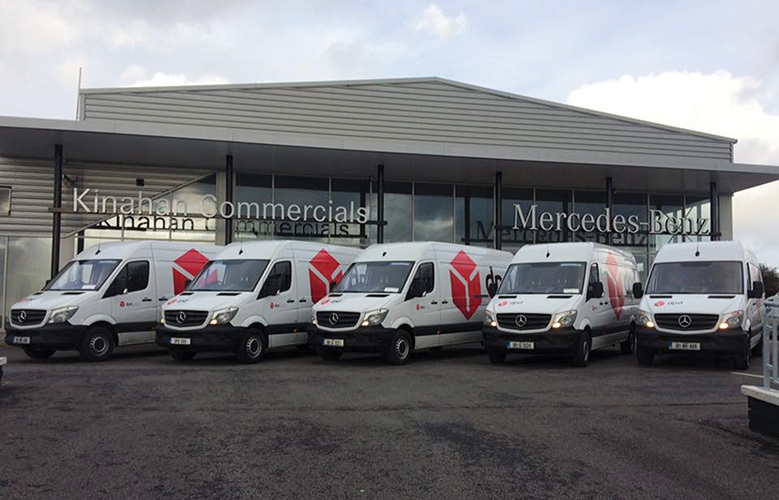 As an authorised Mercedes-Benz commercial vehicle dealership, they can also offer their customers sales for the complete range of Mercedes-Benz commercial vehicles including vans and trucks. With its three vehicle lengths; compact, long and extra-long, the Vito can be extraordinarily well adapted to your individual space requirements. And the roomy load compartment can accommodate any amount of cargo. 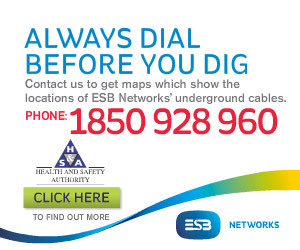 Meanwhile, each of Kinahan Commercials’ customers has to meet very specific challenges in their day-to-day work. And as these demands are becoming larger by the day, there are numerous Sprinter panel van variants to meet them. “The Vito and Sprinter are particularly popular,” Ger revealed. Through their dedicated and highly trained sales and service staff, Kinahan Commercials Ltd aims to continue to supply and service country wide the highest quality heavy and light commercial vehicles both new and used. They place great emphasis on offering their customers a quality after sales services and this commitment was reflected in their success at the inaugural Irish Auto Trade Awards ceremony back in 2014 when they walked away with the HCV After Sales Main Dealer of the Year accolade. Dealer principal Greg Kinahan was delighted to receive the overall award which recognised the hard work, dedication and experience of their 25-strong workforce. In addition, Kinahan Commercials offer a complete DOE testing service and are also part of the vehicle testing network VTN and carry out DOT (Department of Transport) testing on both heavy and light commercial vehicles. Their modern workshop also does analog and digital tachograph calibrations, speed limiter setting, vehicle plating crash repairs breakdown recovery, wheel balancing and many other activities. Open Monday to Friday (8.30am – 6pm) and Saturday (8.30am – 4pm), for more information call Kinahan Commercials on (090) 6481326.